Charleston charms. No wonder it’s so often voted #1 city to visit. Tourism has been the main industry since the 1800s and the city works hard to keep it that way. Visitors walk on cobblestone streets past pastel mansions treasured by preservationists. They enjoy sweeping vistas from roof top bars because no building can be taller than the numerous church steeples. 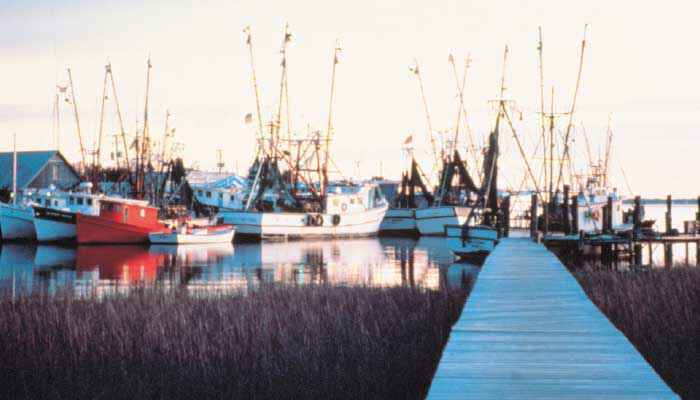 They are fed body and soul by the bounty of coastal waters and a rich culture and cuisine. Walking and eating are the two main activities to enjoy. 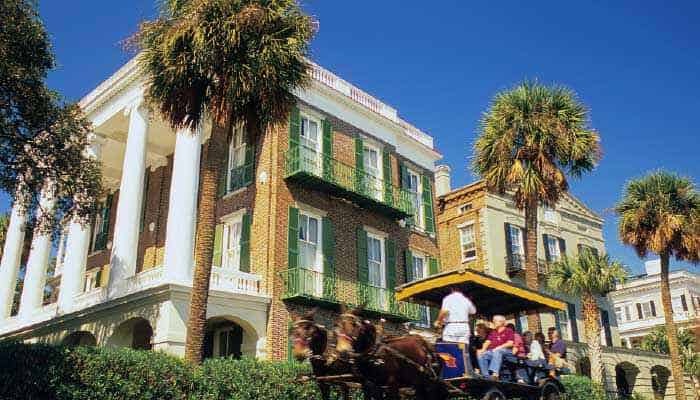 Lovely downtown hotels such as The Spectator, the Dewberry or the Belmond Charleston Place are in walking distance of just about everything. 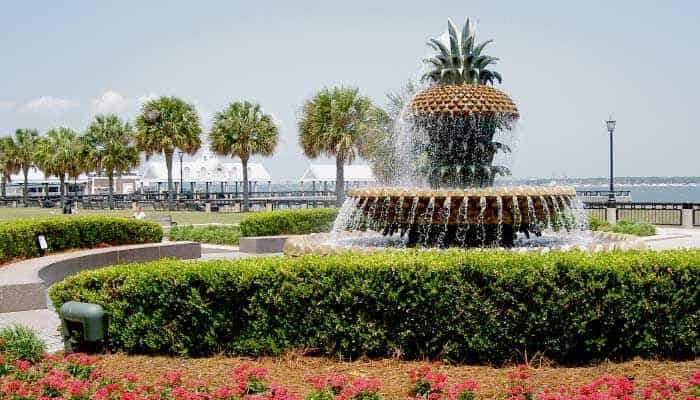 Stroll along the Battery seawall for water views on one side and a close up look at the stately mansions on the other side. Meander through the historic district South of Broad and drool over the $3 million plus single houses with porches running along one side. Most notable is Rainbow alley, where the largest grouping of Georgian row houses anywhere in the U.S. are literally painted the colors of the rainbow. Check out the four-block long City Market filled with vendors selling food and arts and crafts such as the traditional sea grass baskets. Visit a house museum for a glimpse of the good life in the 1800s and, for counterpoint, the Old Slave Mart Museum which tells the story of slavery in Charleston. Walk all the way up King Street known for shopping and now as the city’s restaurant row. 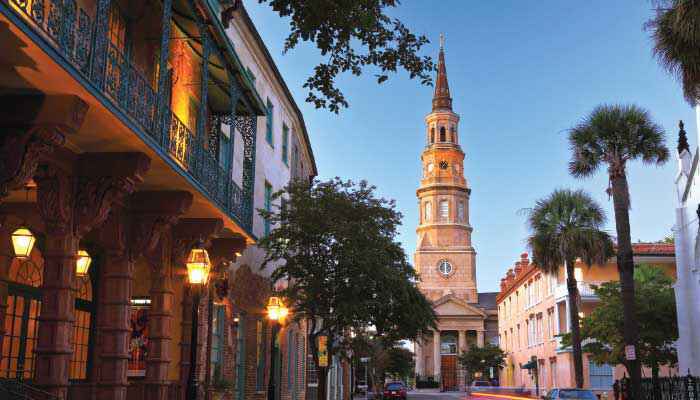 Until the last 30 years or so Charleston was renowned largely for home cooking. Only recently have award winning chefs — starting with such pioneers as the legendary Frank Lee who founded S.N.O.B. (Slightly North of Broad) — put Charleston on the restaurant heat map. The most recognizable name, Sean Brock, catapulted to national fame with McCrady’s and Husk before his recent relocation to Nashville. Names to know: Mike Lata, Jeremiah Bacon, Jason Stanhope, Michael Toscana, Greg Johnsman, BJ Dennis. Oyster roasts reign supreme. Biscuits and BBQ are still important. Shrimp and grits and she crab soup are still traditional favorites but local chefs have brought the cuisine onto the national stage. Michael Toscana’s pasta at Le Farfalle could easily stand up to Italian competitors but he often ups the ante by adding a Southern twist to his dishes, for example, by milling sorghum and adding it to his buckwheat pasta dough for cacio e pepe. Greg Johnsman of Geeche Boy Grits fame supplies freshly milled grits to his popular new restaurant Millers All Day. At FIG, Jason Stanhope obsesses over every delicious grain of locally treasured Carolina Gold Rice and is also passionate about local sustainable seafood such as grey Trigger fish which he grills and serves with a Manzanilla Sherry sauce, raisins, and pine nuts. Jeremiah Bacon is also an expert on underutilized species and features a unique seafood charcuterie board with the likes of grouper bologna and Trigger fish brandade. BJ Dennis is on a mission to make the contributions of Gullah/Geeche culture and cuisine understood. Carrie Morey is a shining example of female entrepreneurship with her hand-made biscuits at Callie’s Hot Little Biscuit on Upper King and in City Market. There’s no end to the eating opportunities. But, yes, there are things to do between meals. Take a boat ride to Fort Sumter where the first shots of the Civil War were fired. This kills two birds with one stone: getting out into the scenic harbor on a boat and visiting an historic fort. Visit Patriot Point. USS Yorktown WWII aircraft carrier and museum; historic aircraft; Vietnam experience. 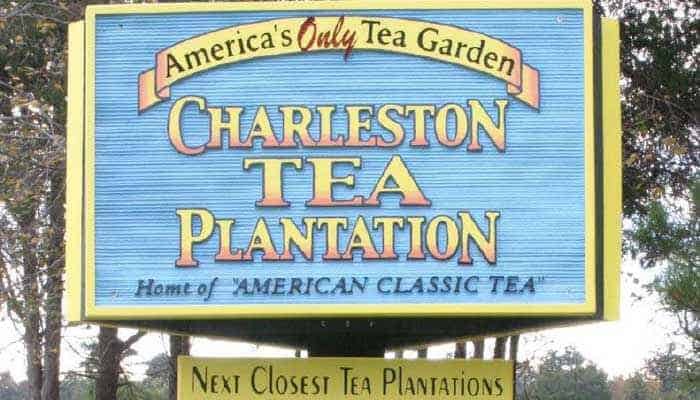 Tour the Charleston Tea Plantation on Wadmalaw Island. This is the only tea plantation in North America. It’s owned by Bigelow Tea and master tea taster Bill Hall. Educational tours explain the growing and processing of tea. It’s easy to add a stop to the magnificent Angel Oak believed to be as much as 400 years old on St. John’s Island. Visit one of the many nearby magnificent antebellum plantations. 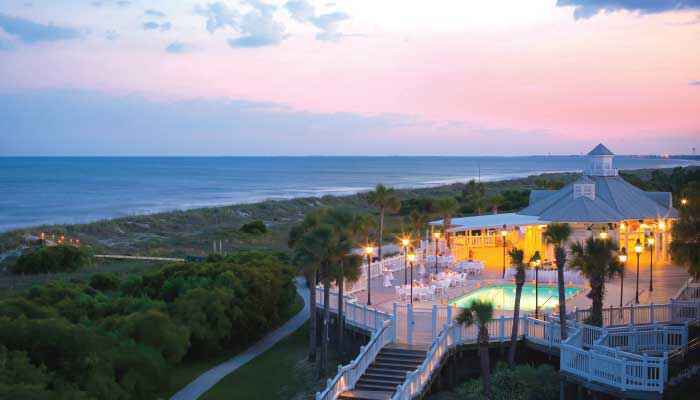 There are tours offered to most but renting a car makes everything accessible. The closest is Boone Hall in Mt. Pleasant known for its magnificent three quarter mile Avenue of the Oaks dripping with moss. The others, Drayton Hall, Magnolia Plantation and Gardens, and Middleton Place are on the Ashley River or directly across the Ashley River from north Charleston.